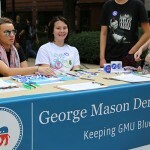 FAIRFAX, VA – George Mason students from all political parties came together on Wednesday, September 21st to “Rock the Vote” on North Plaza. 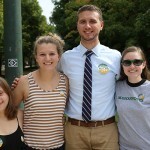 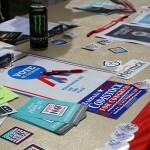 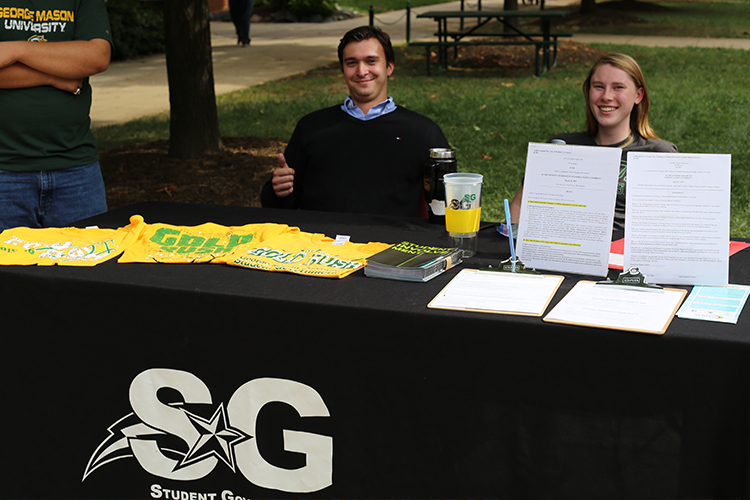 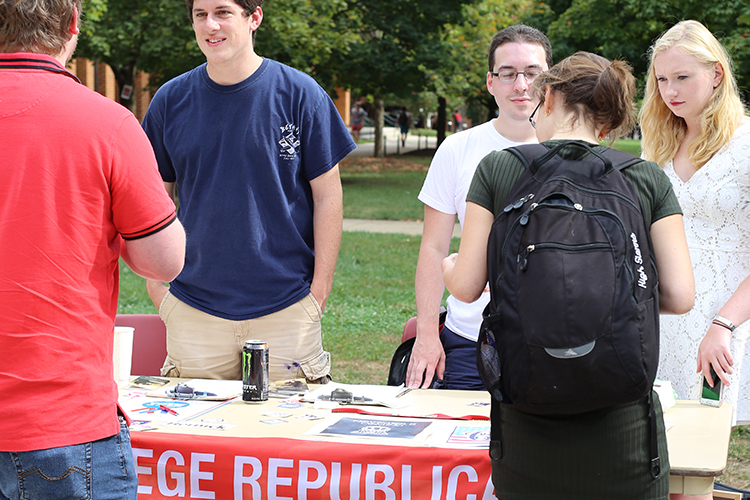 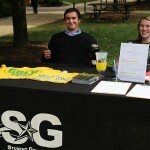 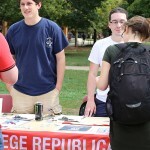 The event was co-sponsored by the College Republicans, College Democrats, Student Government, and Mason Votes. 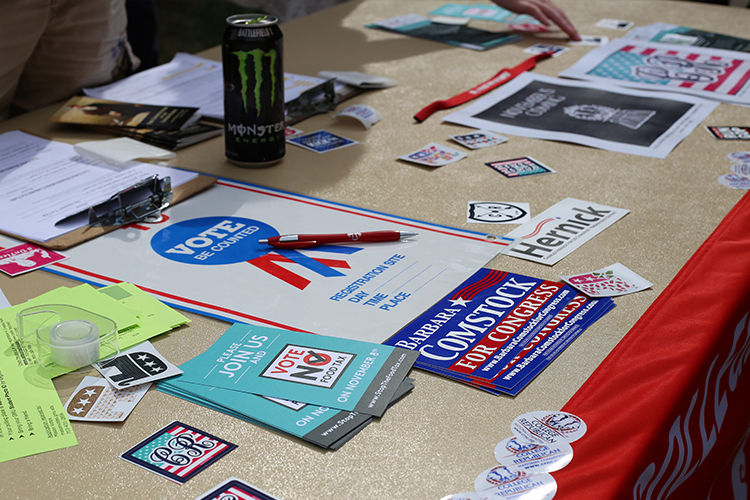 Student volunteers were on hand to register students and community members to vote, sign up for election reminders via text, listen to music, and of course, discuss politics. 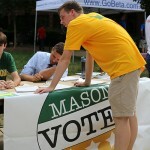 “Statistics show that 8-10% more people are likely to cast their vote when reminded…we are giving this a shot through the ‘Commitment to Vote’ card, which allows us to contact students through text messages and emails to remind them to cast their vote on Election Day,” said Maria Salgado, a Mason Votes volunteer. 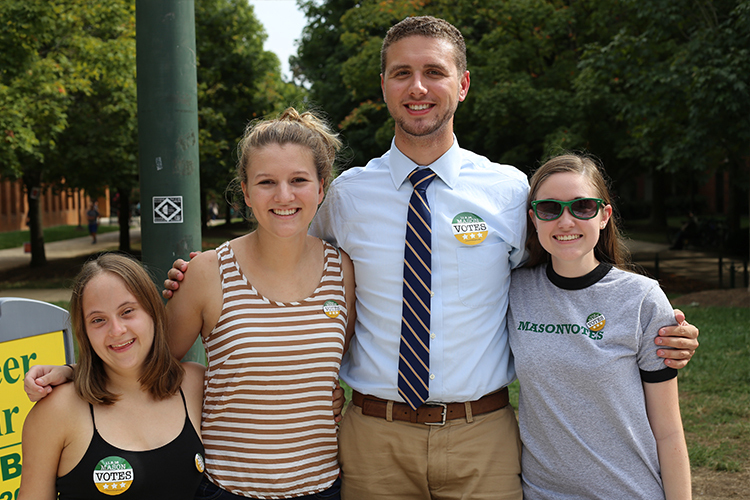 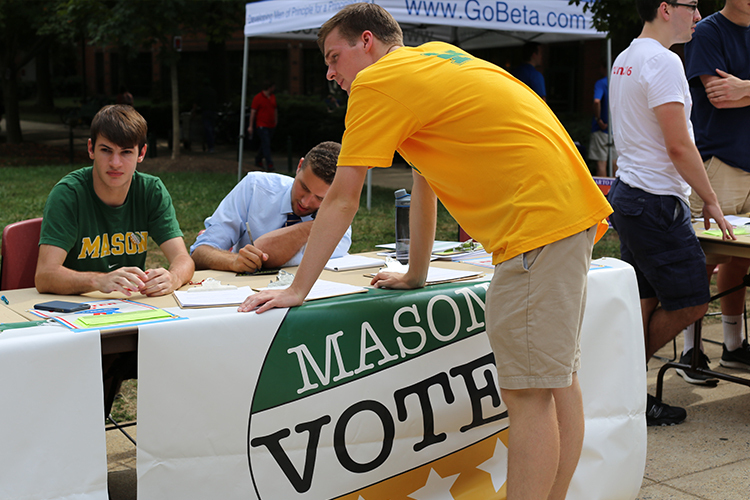 Mason Votes reminds all students that Election Day is less than 50 days away on November 8, 2016. 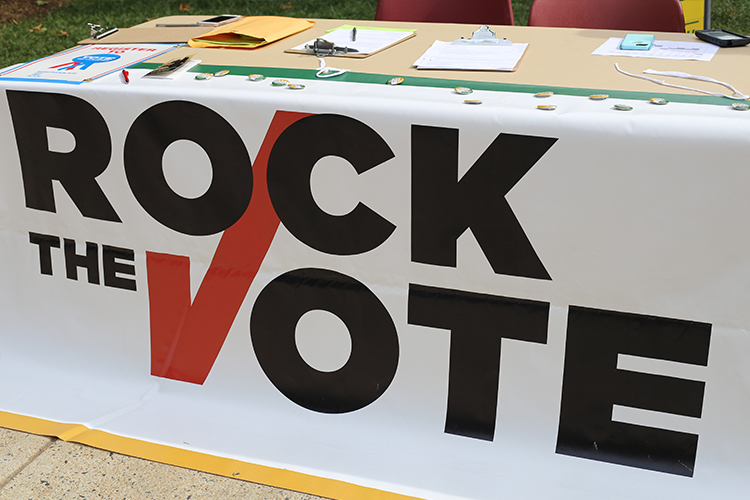 Students who are registered on campus will be able to cast their ballot at Merten Hall from 6am until 7pm. 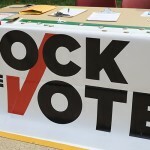 Remember to bring photo ID in order to vote. 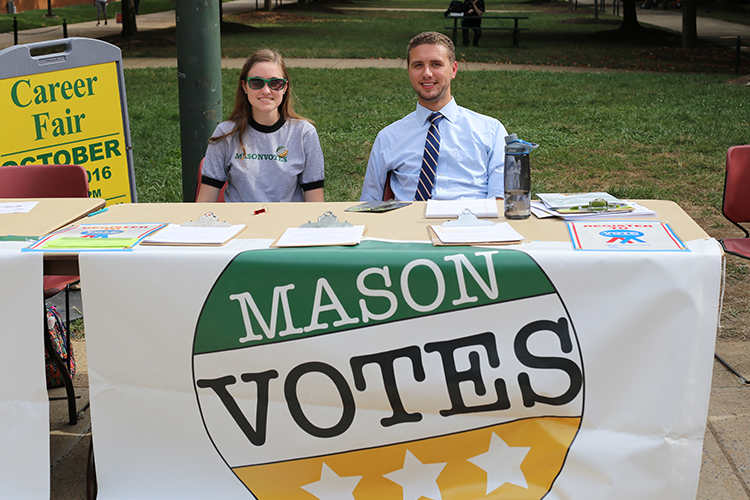 This event is just one of many taking place at Mason in the months and weeks leading up to the presidential election this November. 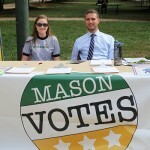 Check out the Mason Votes event calendar on the homepage to learn more. 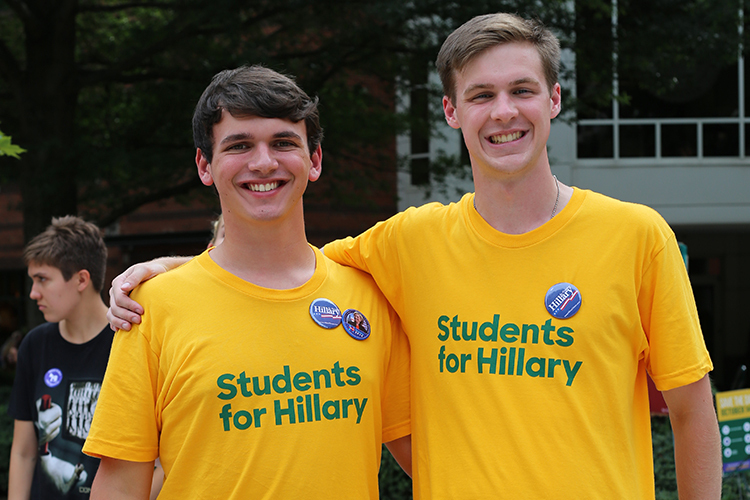 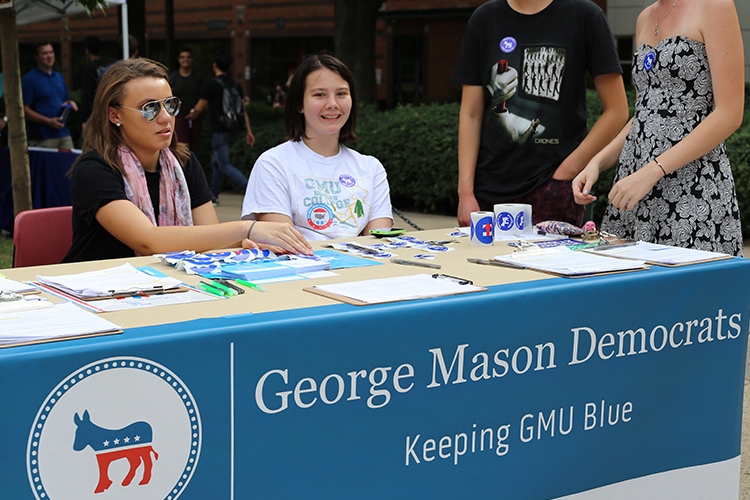 George Mason has become somewhat of a traditional campaign stop for politicians, with big-name candidates such as John Kasich, Bernie Sanders, Hillary Clinton, and Tim Kaine all hosting rallies campus in 2015-2016. 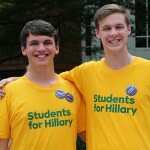 Reporting by Lottye Lockhart and Wesley Ward.